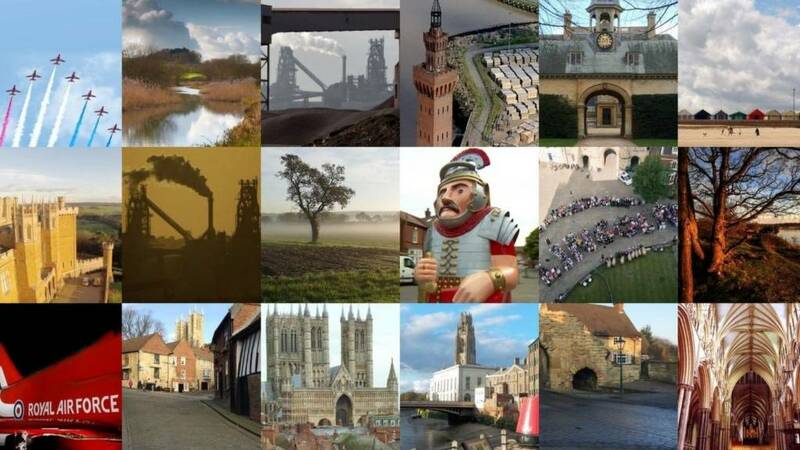 That's all from me this week but we'll have more news, travel, sport and weather from across Lincolnshire from 08:00 on Monday. It'll stay dry this evening, but cloud will thicken through the night as rain spreads in from the west, accompanied by a freshening breeze. The minimum temperature will be about 10C (50F). A mum is warning other parents after an accident involving a cup of coffee left her one-year-old daughter in shock, blistered and covered in boiling liquid from the waist up. It was a rather lovely Lincolnshire morning earlier today, even though it was greyer later on. This picture from BBC Weather Watcher FennySky sums that up perfectly. 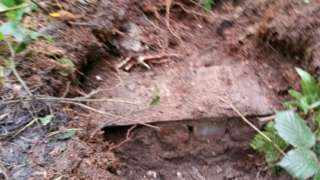 Water samples taken from a Stixwould lake as part of an investigation into the discovery of mustard gas canisters in nearby woodland have come back clean. The samples were taken to a lab for testing yesterday by helicopter. Even though no trace of the deadly chemical agent was found in the water, a Royal Navy bomb disposal team remains at the site. Two men and a woman arrested over the past few days on suspicion of possessing a noxious substance have been bailed by police. Supt Phil Vickers says it's expected that the investigation will continue into the weekend at the lake and the site of the original canister discovery in Roughton Moor woods. We expect searches to continue at the lake and in Roughton Moor. We will only withdraw when we know they're safe for the public. We won't put anyone at risk." A Lincolnshire police officer who was sacked for drink-driving is back at work just over a month after her dismissal. Rebecca Stevenson, 33, from Louth, crashed her car in July while driving barefoot in her dressing gown. She was found to be twice the legal alcohol limit when she lost control of her car and crashed into a ditch in the village of Saltfleet. A police disciplinary hearing in August dismissed her for gross misconduct. She is now working as a civilian investigator at her former station. Lincolnshire Police says it decided to re-hire Ms Flanagan because what she'd done was "exceptional and rare". It's the last day of the flying season today for the RAF Coningsby-based Battle of Britain Memorial Flight (BBMF), and its crews have been marking it with a Lancaster flypast over Lincoln and nearby villages. As we told you earlier, investigators are currently searching a lake in the village of Stixwould for containers of mustard gas. Three people arrested in connection with the discovery of mustard gas canisters in a nearby wood have been bailed by police after being arrested earlier this week on suspicion of possession of a noxious substance. Video caption: The police and military have been searching a lake in Stixwould, Lincolnshire.The police and military have been searching a lake in Stixwould, Lincolnshire. The A17 is still partially blocked in Gedney. We can now confirm that there has been a crash there involving a car and a motorbike. As you may expect, traffic is still backed up around the area so do avoid it if you can. We will see plenty of sunshine across the region this afternoon and it'll remain dry. A new campaign's been launched to encourage more people to volunteer to work for Lincolnshire Police. There are currently about 530 people who give their time and expertise to Lincolnshire Police for free, but a new campaign's asking more people to come forward to volunteer to help their local force. Roles include Special Constables, cadets and volunteer PCSOs. We'd probably be in a worse position without them... but we don't rely on them as such. They do provide an extra additional resource for us across the whole organisation." Two people needed treatment for minor burns and respiratory problems after finding the canisters. A former conservative party chairman calling for Theresa May to step aside as Prime Minister is dominating much of the national headlines today. Grant Shapps says he has the backing of around 30 MPs in a bid to bring about a leadership contest but it appears that the MP for Gainsborough, Sir Edward Leigh isn't one of them. May must stay... I'm certain nine out of 10 MPs don't want a leadership election, we'd be the laughing stock of Europe. It would take months and the Brexit negotiations would stop dead in their tracks"
He's not the only Lincolnshire MP to come out in support of the embattled Prime Minister. The leader of North Lincolnshire Council has defended plans to build new homes and sport facilities just outside of Scunthorpe. The authority wants to buy a 500-acre plot, called Vale Farm, near the Forest Pines Hotel. It's thought the development could create 250 jobs. The plans have been criticised by opposition Labour group who say they've been kept in the dark. But Conservative council leader Rob Waltham (pictured) has accused the Labour party of jeopardising the plans, saying publicly questioning the proposals was "reckless and irresponsible". Traffic is currently reported to be queuing on the A17 Main Road in both directions around Churchgate, Gedney. It looks as though there's been a crash there, so avoid the area if possible. A decision by organisers of the Woodhall Spa 1940s festival to move the event to an earlier weekend has been criticised by the people behind the nearby Thorpe Camp 1940s Festival as the events now clash. Next year, Woodhall Spa's event will be held between 7-8 July - a weekend earlier than usual - much to the consternation of the Thorpe Camp Festival which is due to be held less than three miles away and on the same weekend. We want to work together with them and increase the offer over the weekend. I personally don't see it as a clash, I see it as an opportunity for both events." I don't think it will work. They've tried to send some of the footfall down the road to Thorpe by bus before and it didn't really work." We're now in the fifth day of an investigation into the discovery of mustard gas canisters near Woodhall Spa, with the police, army and navy all now involved. Investigators looking for more canisters of mustard gas at a lake near Woodhall Spa say if any are found they will have been moved there recently. It comes after three people arrested in connection with the discovery of mustard gas canisters in a nearby wood have been bailed by police after being arrested earlier this week on suspicion of possession of a noxious substance. Yesterday, police investigating the original mustard gas find at Roughton Moor widened their search to include a lake near the village of Stixwould. The original mustard gas find at Roughton Moor wood is believed to be a leftover from when an RAF station and military base stood there. We understand the lake had previously been a brick pit. So, we think if anything has been deposited there it will have been fairly recent." Plans to build 140 new affordable homes and a sporting facility on the outskirts of Scunthorpe are causing a bit of a stir. North East Lincolnshire Council wants to buy a 500-acre plot, called Vale Farm, near the Forest Pines Hotel. However, the plans haven't gone down too well with the Labour group. The leader, Len Foster, says the cost of the land is huge, and developments should be built on land the council is selling in the centre of Scunthorpe.